Ridley Scott jumps back into his almost private-owned sci-fi genre with this extraordinary space story. The biggest sci-fi film since Christopher Nolan’s Interstellar, this is a very light-hearted blockbuster! During a manned mission to Mark, botanical astronaut Mark Watney (Damon) is presumed dead after hit by debris during a catastrophic storm, forcing his crew – led by Melissa Lewis (Chastain) – to leave him and head home. However, Mark Watney survives the storm by sheer fluke and has to find a way of growing food on a lifeless planet. Watney eventually makes contact with NASA in Texas, which puts the worlds eyes onto the extraordinary events, and piles the pressure on NASA officials. First of all, this film seems to strike a unique balance of drama and sly comedy. I want to say it doesn’t take itself too seriously, but that would be doing the serious parts of this film injustice. It just sprinkles enough laughing moments to make you see Mark’s perilous position in a positive light – much like Mark himself – while still understanding where he is. The story itself is a really interesting one to watch unfold, with a lot of different people playing a part, although most of them physically unable to influence the outcome. With such a stellar cast, it comes as no surprise that the performances in this film are very good. 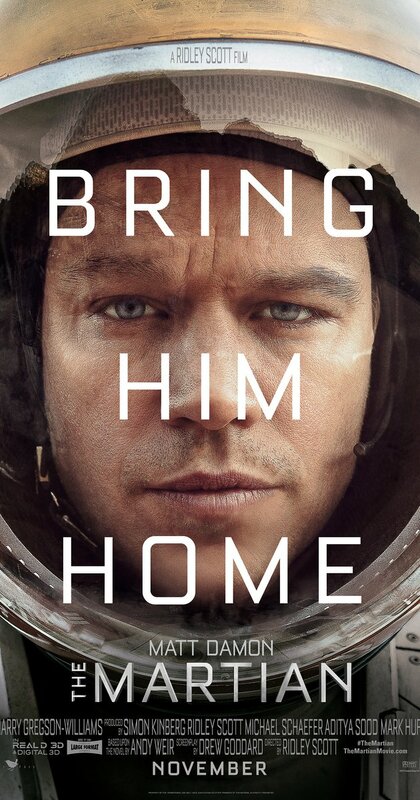 Matt Damon does a good job balancing a funny yet dramatic role, delivering some really impressive moments. The NASA crew on the ground were also very good, with particular mentions for Chitewel Ejiofor and Sean Bean who both showed their class in sophisticated performances. Kristen Wiig, more known for her comedic performance than her drama, did just that in a role that seemed to revolve around jokes more than anything else, which she excels at. Last but not least, the performance by Mackenzie Davis, playing NASA worker Mindy Park, was really good and certainly one of my favourite performances in the whole film! Perhaps a hot talent for the future? Overall, this was a very enjoyable movie! The story, while not ground-breaking, was very good to watch. The film is full of good acting performances to go with the story, and with Ridley Scott directing it’s no surprise this was also strong visually! The Martian is probably lacking the artistic flair that gets you an Oscar nomination, but is certainly waves better than Christopher Nolan’s Interstellar in comparison!